Add class and sophistication to your property with a traditional log cabin. 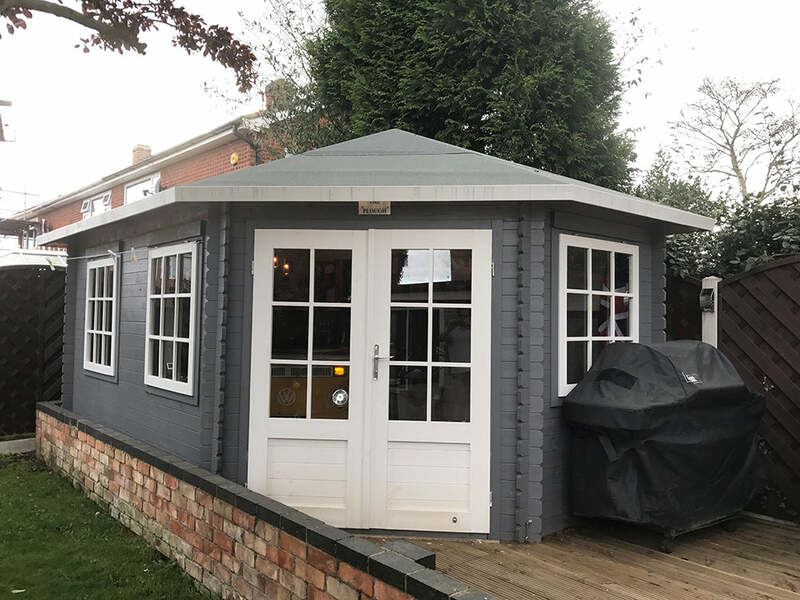 Made from strong, slow grown FSC certified timber, they feature an apex roof, sash windows and chalet corner connections for a cottage style design. If you’re looking for a quiet space to work, try our home office log cabins, or if you are looking for a place to entertain, why not opt for a corner log cabin to create a social hub. We stock a wide range of garden buildings including these Traditional Log Cabins. Our traditional buildings are perfect for any garden providing an outdoor space to enjoy. They can be used as almost anything! They can easily be turned into a garden office, second living room, a gym or even a playroom! Our traditional style products have special design features like an apex roof, chalet corner connections and sash windows. These traditional style qualities give a cottage like look. All our wooden buildings are made from slow grown, FSC certified timber. When timber is slow grown it becomes denser and stronger; this adds to the quality of our buildings. Our Traditional Log Cabins come in a range of sizes to suit your needs. Our smaller versions are ideal for use as a summerhouse. They provide an internal space for relaxing. If you need more space some of our categories feature two internal rooms. This is particularly if you need office space! You can have one room for working and one room for meetings with business partners or clients. Our range is perfect for any garden. All you need to ensure before your building is built is a flat, level base. The base needs to be completely level; if the base is not level it can lead to the building cracking or sagging on one side. This causes lots of damage. Our log cabins can be decorated in any style! There is many things you can do to the inside and outside of your building to make it suit your home style. Adding shingles is one way to add to the look of a building. All our cabins are supplied with roofing felt but if you want more homely look you can add shingles. A shingle is like a felt roofing tile. The shingles go over the top of roofing felt; so you will need to lie this on the roof of your log cabin first. The shingles are simply tacked into the bearers on the roof. Another way of decorating is with paint. Wood paint comes in so many different colours these days from more traditional colours like green or red to more modern colours like white, cream or even dark grey. Painting can give it a completely new look or can help tie in a building with the rest of your garden.